Thanksgiving is around the corner and we're already geared up for family, fun and some seriously good food! Over the next few weeks, I'll be sharing holiday recipes that are perfect for a small family Thanksgiving meal (just in case you aren't having over every relative known to man!). If you can't figure out how to get dinner on the table you should have One Potato send it to your front door! But back to the massively delicious Maple Roast Vegetables. 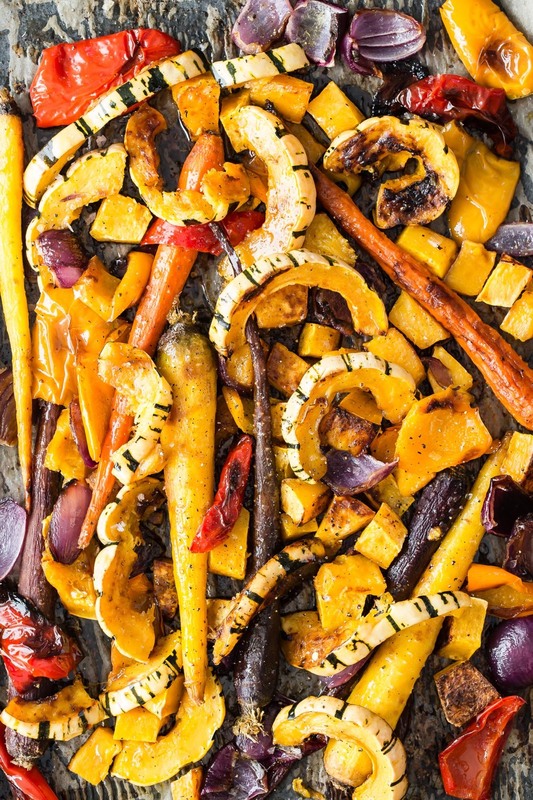 These maple roast vegetables are a holiday favorite in our house and perfect no matter if you are having twenty people over or just two. I first started making this simple dish for Thanksgiving years ago, but it's so addictive and easy to prepare that I started making it all the time (most of the vegetables the dish calls for are available year-round). 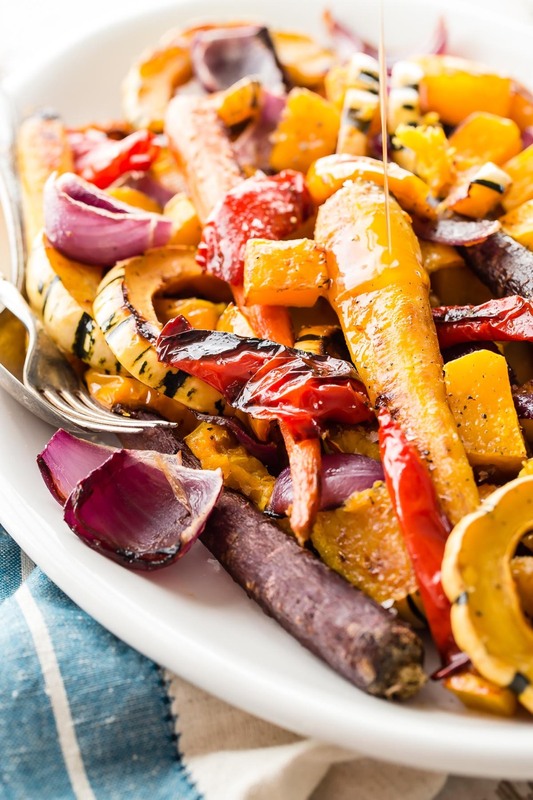 Roasting is one of the best techniques for getting the maximum amount of flavor out of vegetables. They become super tender, sweet on the inside and a bit caramelized on the outside. Holidays or not, I usually double the recipe because they're just as delicious (if not more so) the next day - perfect for lunch or a quick, healthy snack. And, for anyone who has a child who is prone to say, "I hate vegetables," just try making this dish and tell me if those words ever come out of their sweet little mouths again! 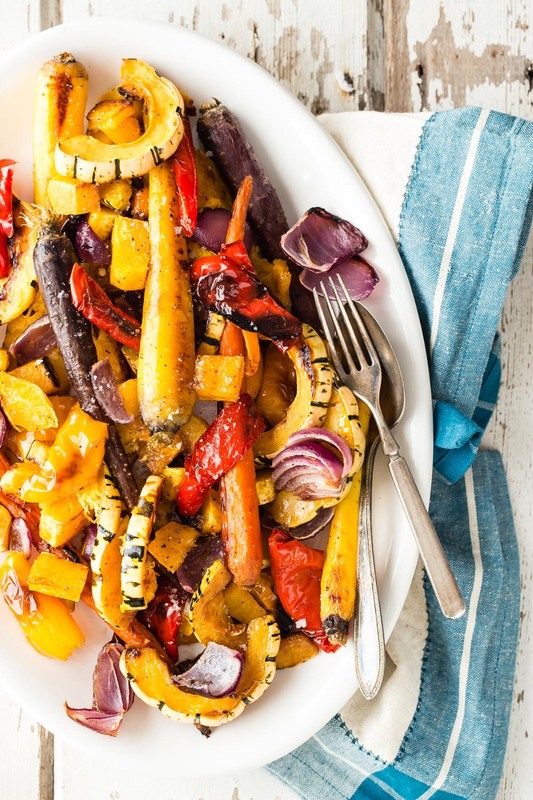 If you make these Maple Roast Vegetables I would love to see them! Just post a picture of your creation on Instagram and tag @weelicious. Enjoy every let bite! 2. 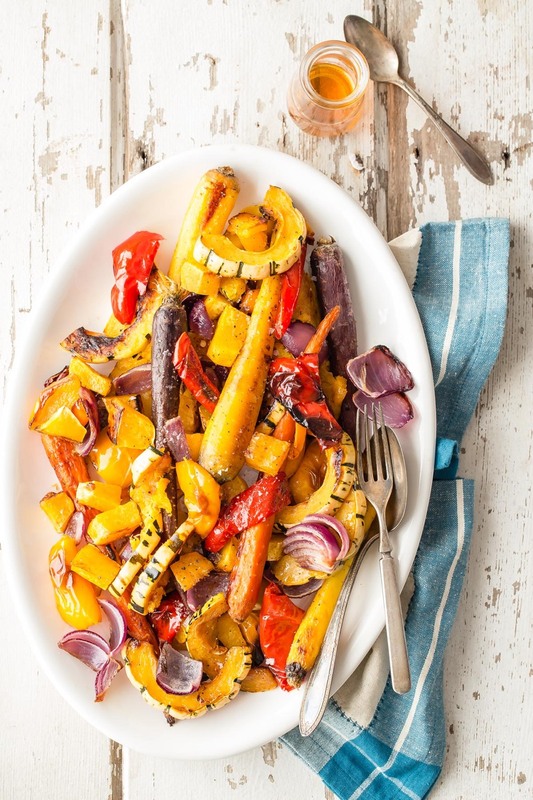 Place all the ingredients in a bowl and toss to coat the vegetables (at this point you can place the vegetables in a large zipper bag and refrigerate overnight). 3. 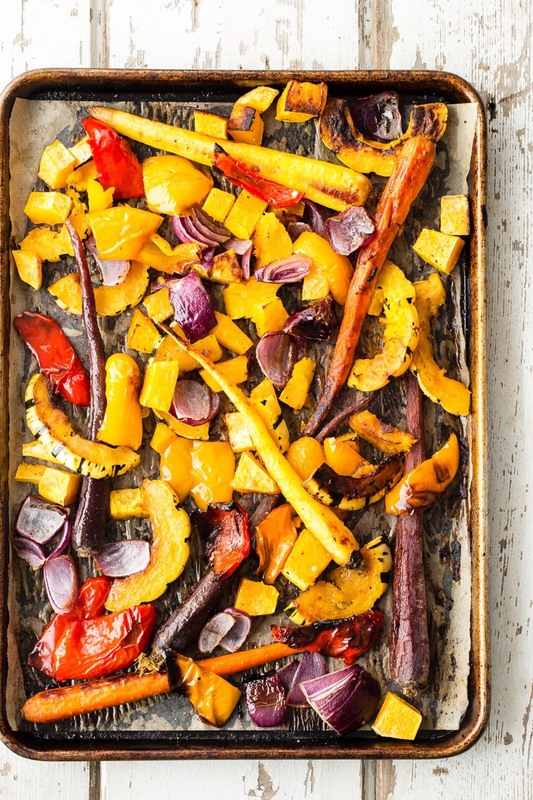 Pour the vegetables on to a foil lined sheet tray and roast for 50 minutes, stirring halfway through, or until tender and golden. Delicious! Am making again this weekend. I used less salt. thank you for this recipe! Are there potatoes in there too? It looks like potato in the picture. but it's the first time to comment, and i was wondering what is the maple syrup substitute ? This sounds so good, but I'm not sure what main dish to make to go with it. Do you have any suggestions? Made these this morning for my toddler. Delicious (if you like sweet things). I only had squash and carrots on hand, so just left out the peppers and onions. They were the star in the Thanksgiving dinner! My husband doesn't eat vegetables but after he tried this recipie he is asking me to cook them frequently! My parents-in- law loved them and I sent them already the web page. Thank you Catherine, you can't imagine how much you help me and I am sure other moms with these delicious recipies. Delicious! I have never known what to do with delicata squash and now I do!! This recipe was so, so good...and easy! Thank you! Any idea if how these will hold up overnight and/or if they can be made and made and then reheated after trasnsporting?